Welcome to the Flat Earth Society! Thank you for taking the time to go through this FAQ. It was created in light of the realization that for someone with a "round-Earth" (RE) background, the FE theory would appear at first glance to have some glaring holes. This thread is designed to answer some of the questions that many Round Earthers raise when they first arrive. Please read it all, especially the first section (this post), as it will help you to find your feet here at The Flat Earth Society, as well as making debate and discussion better and more enjoyable for everyone. The opinions and beliefs expressed in any posts do not necessarily reflect the beliefs of The Flat Earth Society Forum. 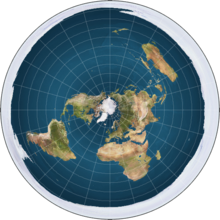 The Flat Earth Society Forum's goal is to promote the free discussion of Flat Earth Theory as well as the free discussion of and debate of any topic of interest to our members that does not contradict Forum Rules. The views of any individual or organization (including that of the old Flat Earth Society run by Charles K Johnson) are not necessarily shared in whole or in part by The Flat Earth Society. The only person qualified to give the official position of The Flat Earth Society (if required) is Daniel. In addition, please remember that the views contained in 'official' threads are not necessarily shared by the Forum Staff who post them. Our moderators come from both sides of the debate, and their sole unifying purpose is to promote a smooth running forum so as to promote the emergence and discovery of truth through free discussion and argument. Furthermore, please note that the FAQ should be considered a starting point. It addresses many questions those new to FET have about the theory but in no way represents a comprehensive, all-encompassing view of the theory. It should also be noted that not all points in the FAQ are necessarily agreed on by all FE proponents. Re: Flat Earth FAQ - Please Read! This site is not a joke. We are actively promoting the Flat Earth Movement worldwide. There are, admittedly, several non-serious flat earth posters, but they are fairly easy to identify. The evidence for a flat earth is derived from many different facets of science and philosophy. The simplest is by relying on ones own senses to discern the true nature of the world around us. The world looks flat, the bottoms of clouds are flat, the movement of the sun; these are all examples of your senses telling you that we do not live on a spherical heliocentric world. This is using what's called an empiricist approach, or an approach that relies on information from your senses. Alternatively, when using Descartes' method of Cartesian doubt to skeptically view the world around us, one quickly finds that the notion of a spherical world is the theory which has the burden of proof and not flat earth theory. Many other experiments demonstrating the lack of curvature in the earth may be found in ''Earth Not a Globe'', by Samuel Rowbotham. The most commonly accepted explanation of this is that the space agencies of the world are involved in a conspiracy faking space travel and exploration. This likely began during the Cold War's 'Space Race', in which the U.S.S.R and USA were obsessed with beating each other into space to the point that each faked their accomplishments in an attempt to keep pace with the others supposed achievements. However, since the end of the Cold War, the conspiracy is most likely motivated by greed rather than political gains. Thus opening up a tremendous amounts of funds to embezzle as it only takes a fraction of the total budget to fake space travel. In general, we at the Flat Earth Society do not lend much credibility to photographic evidence. It is too easily manipulated and altered. Many of the videos posted here to "prove a round earth" by showing curvature will show no curvature or even convex curvature at parts. The sources are so inaccurate it's difficult to build an argument on them in either case. Furthermore, barrel distortion and other quirks of modern cameras will cause a picture to distort with little or no apparent altercation; especially without references within the picture. Photographs are also prone to distortion when taken through the bent glass of a pressurized cabin as well as atmospheric conditions on the outside. With this litany of problems, it's easy to see why photographic evidence is not to be trusted. What is the definitive FE model? There are multiple Flat Earth models, all with adherents that would say that theirs is the best. Unlike the mainstream, Flat Earth theory does not follow the leader, it encourages free thought and open-mindedness. Some have arrived at Flat Earth Theory because of religious belief. This is not universally the case, but there are some models that are more religious in nature. Multiple explanations for a single phenomenon are a common occurrence in scientific study. All theories begin in this fashion, it is only by discussion and sharing that consensus is reached. How do you explain day and night cycles? When the sun is further away from the North Pole, it's winter in the northern hemiplain (or hemisphere) and summer in the south. A more simplistic picture can be found below. The earth isn't pulled into a sphere because the force known as gravity doesn't exist or at least exists in a greatly diminished form than is commonly taught. The earth is constantly accelerating up at a rate of 32 feet per second squared (or 9.8 meters per second squared). This constant acceleration causes what you think of as gravity. Imagine sitting in a car that never stops speeding up. You will be forever pushed into your seat. The earth works much the same way. It is constantly accelerating upwards being pushed by a universal accelerator (UA) known as dark energy or aetheric wind. This acceleration does not violate physics and according to Einstein's theory of special relativity, we can accelerate forever without reaching the speed of light. If there’s no map, how do we navigate? Navigation does not require full knowledge of the Earth’s shape. On short distances there is no real difference between a round and flat Earth. Over large distances the nature of travel means there will be some error. Boats have to deal with currents, planes with winds and the angle at which it is pointed. All such navigation is done with reference to landmark; this is even how GPS works, measuring distance from stratellites to coordinate one’s location. If you tried to follow a round Earth map exactly you would soon go off course, but it would be put down to natural travel error and your journey would be corrected by nearing desired landmarks. This is an extension of how sailors used to navigate by stars. Circumnavigation of the Earth is possible by travelling in a vast circle. 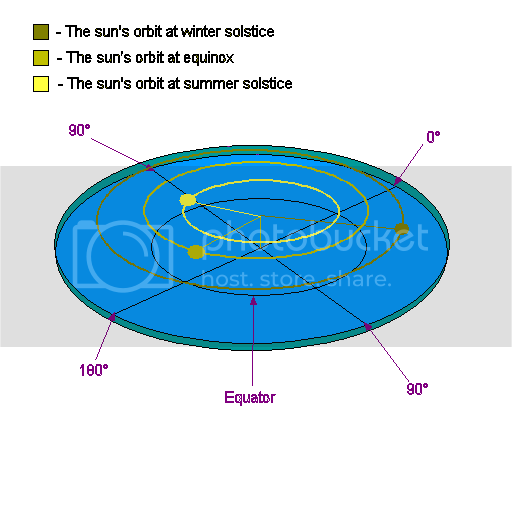 East and West are not straight lines, but rather circles around the center of the Earth. Why are other planets round? Because they’re not the Earth. The existence of the flat Earth has a major effect on its surroundings, allowing different classes of entity to exist near it. There is no reason to believe that the Earth should be the same as the planets. There are also some who believe that the planets are not round.